Welcome! 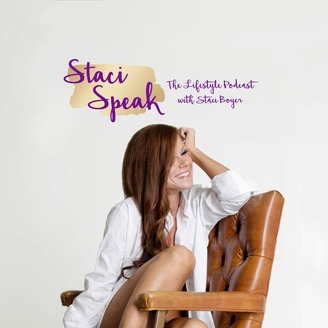 Staci Speak is a conversational podcast with topics ranging from life, love, shenanigans, random thoughts, women's empowerment, hysterical stories and so much more. Staci not only aims to inspire, but to be that friend you just can't get enough of and want to hear more from. Need that extra kick of motivation? Well here it is, join in on the adventure and hit subscribe! The weight of the world may rest on your To Do List - but, if those items are NOT priorities for you -they will not get done!